Rhythm games have been very popular over the years and most of the games we have seen in the past and present have originated or are from none other than Japan. Dance Dance Revolution, Beatmania, Taiko Drum Master, the list is endless with the creations of rhythm games in Japan. Now that we’re in an age where smartphones are in almost everyone’s hands, the rhythm game market quickly switched over to mobile devices, at least what I’ve seen in Japan. If I’m not mistaken, two of the most popular/talked about Japanese mobile rhythm games are Love Live! School Idol Festival and BanG Dream Girls Band Party!, both made by the game company Bushiroad. To give you a quick crash course on these two games, it’s essentially where you play along with music and press buttons in a sequence in order to test your sense of rhythm. Alongside the musical part, there is also a “gacha” section of the game where you spend in-game earned or bought currency to basically open loot boxes that give you random cards/members to use while playing the rhythm part of the game. These cards/members have various rarities, usually ranging from Normal (N), Rare (R), Super Rare (SR), Super Super Rare (SSR) and the one with the lowest rate of finding, Ultra Rare (UR). It’s also nice to mention that they have stories that you can unlock that essentially add a little to their anime counterparts. I’ve personally played and put in an unhealthy amount of time to Love Live SIF as I picked the game up after finishing the original series, School Idol Project. It is absolutely a fun game to play but once it got super tedious and time-consuming with leveling up in order to get more songs to play, I just lost interest and ended up deleting it because it was just sitting in my phone, taking up space. It definitely could just be me but I don’t think gacha or mobile games in general are for me (even though I downloaded the Japanese version of SIF a couple of weeks ago…). But I know that there are die-hard and heavily devoted players to these kinds of games and I have to give them a hand for dealing with the frequent disappointments and such. The other game I was talking about, BanG Dream or Bandori, is still very foreign to me since I think it’s only been a few days since it came out in English for international fans. All I know is that it is a multi-media project (series is represented in anime, manga, music, video games, etc.) like Love Live and also has an anime adaptation that isn’t bad. Also there are some lovable seiyuu involved such as Sakura Ayane, Kurosawa Tomoyo and Uesaka Sumire. 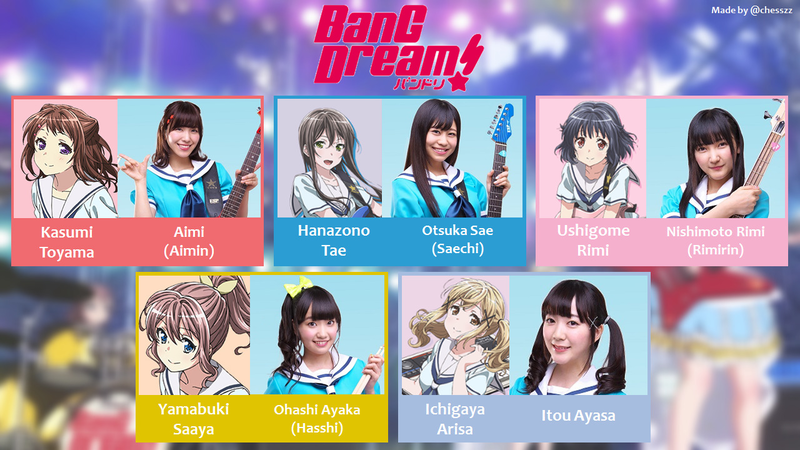 However BanG Dream does not categorize themselves as an “idol” game like SIF, and instead has a group of girls who are in a band and play actual instruments like the guitar, bass and drums. I mean, they say that but let’s just face it, they’re basically idols. I just got the game today and one of the things that really surprised me was not only do they have their original songs that you can play… but they also cover songs from very popular anime. “That sounds amazing”, I exclaimed in my mind. 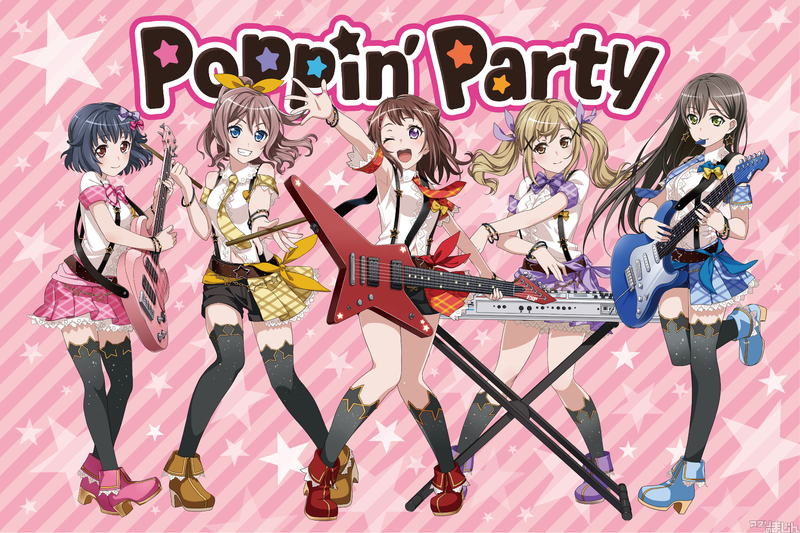 That being said, I would love to share some of my favorite and notable covers that the groups of BanG Dream have performed. 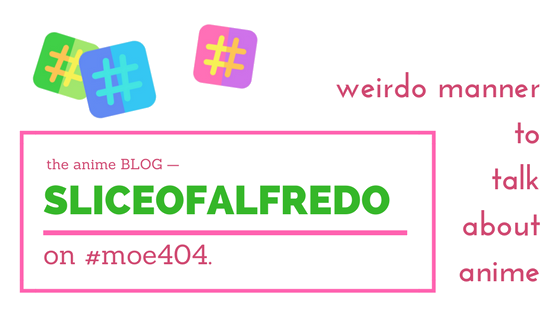 Let’s start off with a good one, shall we? Not bad, Itou Miku’s voice definitely fits in with a song like New Game‘s opening. This is actually a reeeeally nice cover of the opening for Neon Genesis Evangelion. Not gonna lie, it’s pretty close to Takahashi Yoko’s version. This is actually the cover that introduced me to the BanG Dream game, I thought Aimin did a pretty good job, especially with the chorus! Aimin does not do a bad job with matching up with Yoshino Nanjo’s vocals in this opening, it’s almost impressive. No offense but I think this version of Steins;Gate‘s popular opening is significantly better than the original. Just my opinion. Yesssss, BanG Dream really likes Gainax, huh? Aimin kills these covers, it’s very close to Hirano Aya’s iconic version. Honestly this might be the best cover out of all of them. But cover or not, “secret base” is still an insanely beautiful song to listen to. It ain’t no UNISON SQUARE GARDEN, but it’s still a decent cover. Haven’t seen this show or listened to the actual song, but it certainly makes me want to watch it! Am I listening to Machico as a young child or something because that’s pretty spot on. I’ll end it off with this very, very well-known song. It’s a nice variation, definitely. But that’s all I wanted to talk about today. And who knows, I might watch BanG Dream! sometime in the near future.